AECinfo.com News: Stucco Systems from Sto Corp.
More powerful than Conventional Stucco – Sto Stucco Systems are made up of high-performance products that are designed to work together to form a superior wall cladding. These systems weigh less and can be installed faster than conventional stucco, with coatings and finishes that bridge hairline cracks to keep moisture out, enhancing the weather resistance and long term appearance of your cladding. 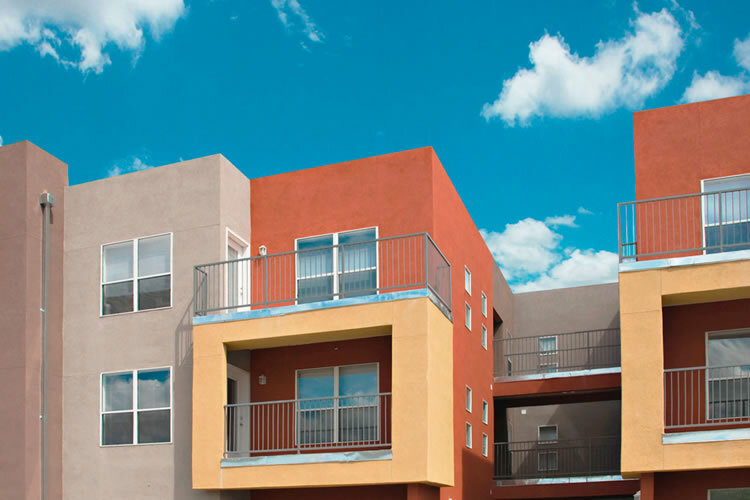 Fully-tested, code compliant stucco systems with excellent moisture management and comprehensive design options for a low maintenance, long lasting cladding with all of the protection and energy efficiency of StoGuard®. StoPowerwall® Stucco Systems are advanced integrated wall systems that combine the best protective and aesthetic elements into a superior wall cladding. The systems are made-up of high-performance components including StoGuard® fluid-applied air and moisture barrier, Sto DrainScreen™ drainage mat, Sto Stucco and Sto textured finishes. Together these make a system that performs better than traditional stucco, with finishes and coatings that keep out moisture while providing a myriad of design options. Air and Moisture Barrier - Protects the wall from moisture intrusion minimizing risk of water damage to sheathing and associated repair costs. Weather Resistance - Less moisture absorption and penetration than field mixed stucco maintains a longer appearance. Premium Finishes & Coatings - Sto high performance finishes and coatings provide superior weatherability and resistance to UV fading, mold and mildew.